Download Your FREE Report! 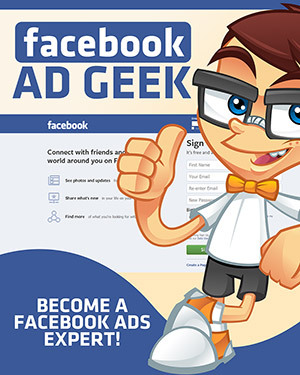 - Facebook Ad Geek! Learn how to navigate through Facebook's impossibly long ad creation tool in no time, creating your first ad in just minutes! 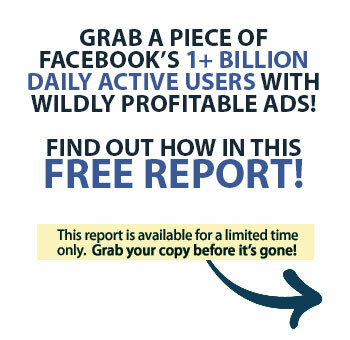 Find out how simple it is to grab your share of the over 1 billion daily active users on Facebook, and turn them into conversions that will build your income rapidly! Discover the best ways to utlilize Facebook Ads for maximum results, no matter what your end goal is! Understand the various ad types, and how to choose the right one, set up your campaign, and turn each one into a profit machine!